Americans love a winner. That’s what General George Patton said, anyway. I don’t disagree with the old polo player and 1912 Olympic pentathlete, but I’ll go a step further and say that Americans also love superlatives. We enjoy learning about them – the first, the best, the biggest, the highest, the lowest, the hostess with the mostest. Finally, we like to know the stories behind their stories, the real scoop. So here, in no particular order, are several firsts, superlatives, and back stories that I hope you find interesting. The first president of the United States was not George Washington. His name was John Hanson. He was from Maryland, a delegate to the Second Continental Congress, and was the first of eight men to serve one-year terms as president under the Articles of Confederation. Unlike the Constitution, the Articles of Confederation did not enumerate the powers of the president. There was no executive branch of the government, and the presidency was largely a ceremonial position. But Hanson and his successors were the only individuals who had the responsibility to correspond and negotiate with foreign governments. 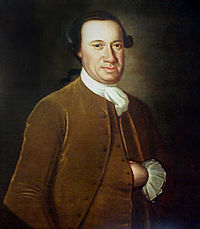 John Hanson also approved the Great Seal of the United States, which is still in use today. Mount Everest (29,027 feet above sea level) is not the highest mountain on the earth. The highest, when measured by distance of mountain peak to the center of the earth, is Mount Chimborazo (20,702). Chimborazo is an extinct volcano in Ecuador. It is right near the Equator, and because the earth bulges out at the Equator due to centrifugal force of the earth’s rotation, Chimborazo’s peak is 7,109 feet farther from earth’s core than Everest’s. Near Chimborazo is Cayembe, slightly lower and directly on the Equator. it is the only place on the Equator where there is snow year-round. In 1889, Caspar Whitney of Harper’s magazine selected the first All-America college football team. All of the team’s members were from the “Big Three” teams – Harvard, Yale and Princeton. The quarterback on the team was Edgar Allan Poe, who played for Princeton. He was named for his famous second cousin twice removed. Poe graduated Phi Beta Kappa and later served as the Attorney General of the State of Maryland from 1911 to 1915. Had he been born a century or so later, he would certainly have been a first round draft choice of the Baltimore Ravens. Liechtenstein has the world’s highest per capita income. It is also the only country in the world to be named after people who purchased it, the only country of the Holy Roman Empire that is still in existence, and the world’s biggest exporter of false teeth. Liechtenstein is Europe’s fourth-smallest country (after Vatican City, Monaco, and San Marino). It is named for the Liechtenstein dynasty, which from around 1140 had possessed Castle Liechtenstein in Lower Austria. Through the centuries, the Liechtensteins acquired vast tracts of land in Central Europe. But all of their territories were held as fiefs under other nobles; none of the lands were held directly under the imperial throne. 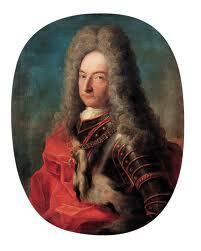 That meant the Liechtensteins were unable to qualify for a seat in the Reichstag, the imperial parliament. The family wanted into the Reichstag, so they finally arranged to purchase the “lordship,” of Schellenberg in 1699 and the county of Vaduz in 1712. These places fit the bill; their sovereigns reported directly to the Emperor. On January 23, 1719, Holy Roman Emperor Charles VI decreed that Vaduz and Schellenberg were united into a single territory. He raised the territory to the status of principality and named it in honor of his “true servant, Anton Florian of Liechtenstein.” That’s how Liechtenstein became a sovereign member state of the Empire. It is the only surviving state (of around 1,800) of that Empire. Not a bad accomplishment, but it’s not like the owners actually cared about the place. No princes of Liechtenstein even set foot in the principality for over 120 years after it came into being. Two hundred years ago, on June 1, 1812, President James Madison sent his “war message” to Congress, and soon a divided Congress declared war on Great Britain, with 79-49 the House vote and 19-13 the Senate vote. Only three of those pro-war Senators were from New England. 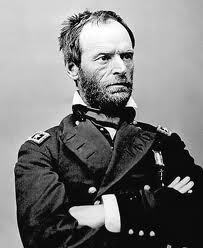 So began the War of 1812. We don’t really know much about it. That’s entirely understandable. Other than a few memories burnished almost in isolation in the history books – the USS Constitution’s successes, Francis Scott Key at Fort McHenry, Oliver Hazard Perry on the Great Lakes, the Battle of New Orleans – the War of 1812 was largely a bungled, mismanaged fiasco. I’m not saying we shouldn’t learn about the War of 1812. It had a profound and lasting effect on the future course of the new American nation. But reading its tangled history is like learning a slew of guilty secrets about your family forebears. Though I love history, recounting that of the War of 1812 is not my intent here. I’d just like to tell you a few things about it that perhaps you didn’t know. “Remember the Raisin” became a battle cry of the time. As the Alamo, the Maine, and Pearl Harbor would become motivators to future generations, the crushing 1813 defeat at the River Raisin in Michigan whipped up the martial zeal of the Americans against the enemy. 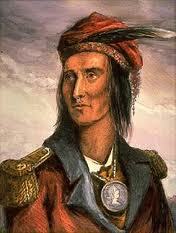 That enemy was really the American Indian, not the British Redcoat. At the Raisin, a joint force of Brits and Indians had overrun a poorly constructed, unguarded and unpatrolled American encampment. The Indians scalped 100 Americans during the fight, and later on they returned, drunk, and began scalping the wounded, burning the village, and tomahawking those fleeing the flames. Two American presidents, prominent in the War of 1812, got to the White House because they won more battles than they lost against Indians. William Henry Harrison, victor at Tippecanoe Creek in Indiana in 1811, had an epitaph that read “Avenger of the Massacre of the River Raisin.” Andrew Jackson defeated the Creek Indians at Horseshoe Bend in the South, and got them to surrender 23 million acres of their land in the peace agreement. The Indians were the real losers in the War of 1812. Their lands and the vast expanse of Canada were the objectives of the “War Hawks” in Congress. Indians, led by the warrior-statesman Tecumseh, had been allied with the Brits ever since the cessation of the Revolutionary War. Britain hadn’t withdrawn all its troops from the West, and they harassed and opposed settlers moving west. But with the death of Tecumseh at Thames – his British allies had fled from the field – and the eventual withdrawal of British forces at war’s end, the native tribes had no more hope of uniting or defeating the Americans. James Madison, scholar and writer, was a terrible president. 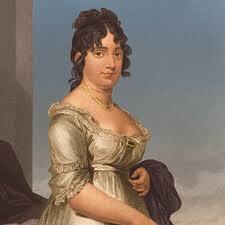 His wife Dolley, outgoing, bodacious, and full of personality, would probably have been a better chief executive. Madison was shy and diffident; he appointed a crew of political lifers and self-dealing ne’er do wells to run the war effort. Dolley Madison saved the portrait of George Washington from destruction when the Brits burned the White House and the US Capitol in retaliation for the burning of Toronto. According to legend, President Zachary Taylor referred to Dolley as “first lady” at her funeral. Before her husband was elected president, Dolley served as a hostess for President Thomas Jefferson. As first lady, she was known for her flamboyant parties, strong personality, and as a supporter of many charities, including the Washington City Orphan Asylum. Impressment of seamen by Britain was probably overstated as a cause of the War of 1812. The states of the Northeast, maritime in their economies, were largely against the war. Yes, the Brits did impress sailors, most of whom were in fact deserters from the British Navy. Only a few hundred Americans were snatched onto British ships. The biggest hue and cry about “Free Trade and Sailors’ Rights” came from states of the South and West. It was an excuse. The War Hawks wanted Indian land and Canadian land. Canada was a winner in the War of 1812. Americans thought it would be easy to take over Canada, and invaded three times, only to lose each time. Canadians celebrate the war as a heroic defense against and a formative moment in their country’s emergence as an independent nation. The War of 1812 bicentennial is big deal in Canada, as they celebrate heroes such as Isaac Brock and Laura Secord. As mentioned previously, Northeastern states resisted “Mr. Madison’s War.” Massachusetts and Connecticut refused to send soldiers to fight in Canada. Secession was seriously considered, then abandoned, at the Hartford Convention of the two states in 1814. But emissaries from the convention, sure of an American defeat, were on the way to Washington to “speak plainly” to Madison when word came that the Americans had won a big victory at New Orleans. They stayed in Washington for a while but slunk back to New England after the Treaty of Ghent was ratified, ending the War officially in February 1815. Rockets did have red glare at Fort McHenry. They were inaccurate but intimidating British missiles called Congreves. They looked like giant bottle rockets, long sticks that spun around in the air, attached to a cylindrical canister filled with gunpowder, tar and shrapnel. The “bombs bursting in air” were 200 pound cannonballs, designed to explode above their target. The British fired about 1500 bombs and rockets from ships in Baltimore Harbor and only killed four of the fort’s defenders. Uncle Sam came from the War. In Troy, New York, a military supplier named Sam Wilson packed meat rations in barrels labeled U.S. According to local lore, a soldier was told the initials stood for “Uncle Sam” Wilson, who was feeding the army. The name endured as shorthand for the U.S. government. The ill-fated General Custer got his start in the War. George Armstrong Custer “Remembered the Raisin,’ having spent his youth in Monroe, the city that grew up along the Raisin. In 1871, he was photographed with War of 1812 veterans beside a monument to Americans slaughtered during and after the battle. Five years later, Custer also died fighting Indians at Little Big Horn, one of the most lopsided defeats for U.S. forces since the River Raisin battle 63 years before. The DuPont Chemical Company got its start in the War too. 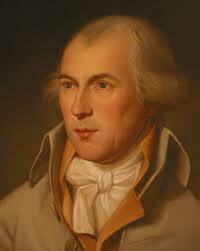 Pierre DuPont de Nemours had fled the French Revolution with his sons and settled in Delaware. When a British fleet invaded up Chesapeake Bay, the sons’ powder factory rushed a supply of gunpowder to the scene, and the artillery was able to drive away the invaders. The Burning of Washington in August 1814 turned out to be a blessing in disguise. The “President’s House” (as it was then known) was rebuilt in sturdier form, with elegant furnishings and white paint replacing the earlier whitewash. The books burned at Congress’s library were replaced by Thomas Jefferson. Tom was broke and needed money. He sold his wide-ranging collection to the government for around $20,000. It became the foundation for today’s comprehensive Library of Congress. The previous library had been limited largely to works of a legal nature. The War of 1812 could have been avoided had there a telephone or telegraph. Britain was ready to deal and had rescinded the Orders in Council just before Madison’s war message went to Congress. Then in 1814, the U.S. and Britain agreed to peace two weeks before the battle of New Orleans. Tchaikovsky’s 1812 Overture, the climactic musical piece in America’s Fourth of July celebrations in Boston and elsewhere, had nothing to do with the War of 1812. It was composed in 1880 in commemoration of Russia’s defeat of Napoleon at Borodino, near Moscow. The piece was first played at the Cathedral of Christ the Saviour in Moscow in 1882. For roughly a century, the conflict didn’t merit so much as a capital “W” in its name and was often called “the war of 1812.” The British were even more dismissive. They termed it “the American War of 1812,” to distinguish the conflict from the much greater Napoleonic War in progress at the same time. We should never forget the lessons that history can teach us, and military history is particularly thrilling and instructive. Wars are, unfortunately, sometimes the only choice that a nation can make. The War of 1812 was not one of those choices. What might have happened to the Native Americans, had the war not been waged, and had their leader Tecumseh survived to unify them? Would Harrison and Jackson ever have become presidents? You are currently browsing the Veteranscribe's Blog blog archives for June, 2012.